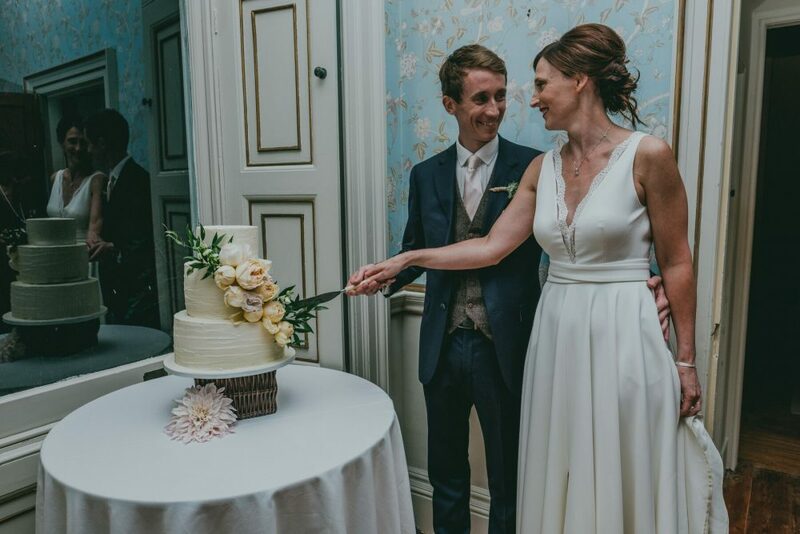 After your wedding ceremony, it’s likely that you will spend an hour or two with your photographer capturing those all-important ‘just married’ shots. 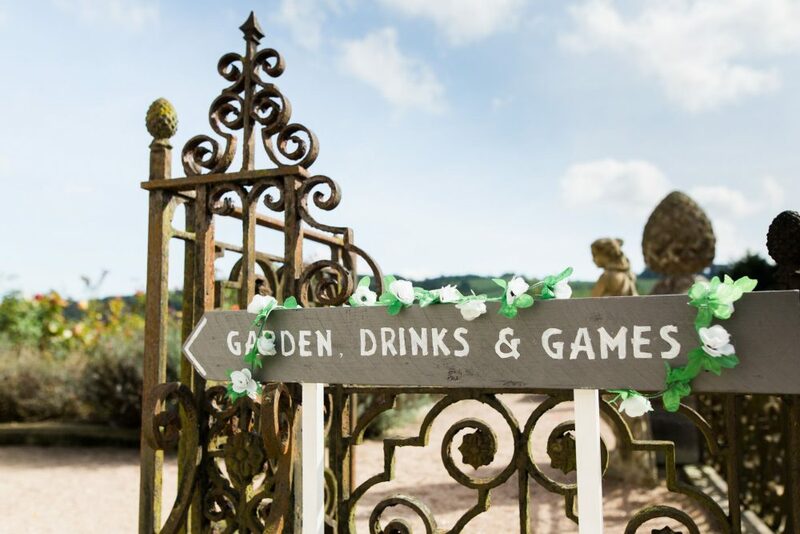 During this time, guests can gather and mingle on the rose terrace in the sunshine while enjoying drinks and canapés. 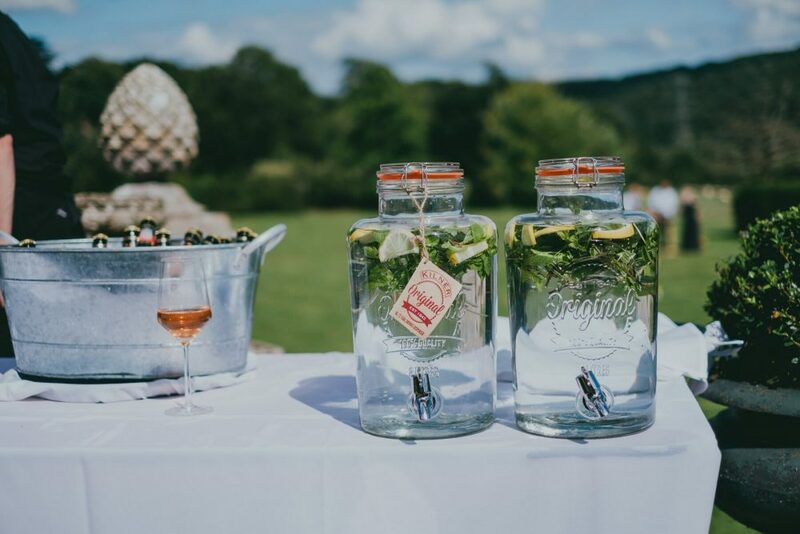 You could set up a stylish drink station where guests can help themselves to zesty lemonade, flavoured water and fruity cocktails. 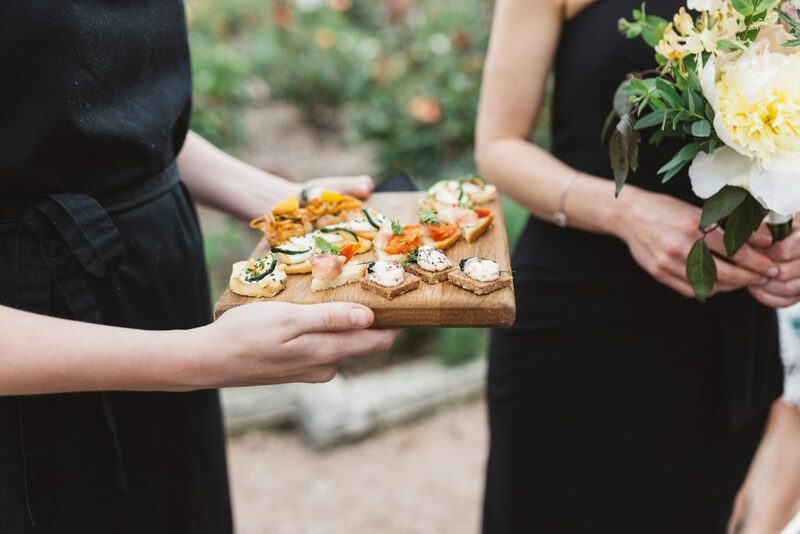 We also work with a number of mouth-watering wedding caterers who can provide you with a selection of scrumptious treats to serve. 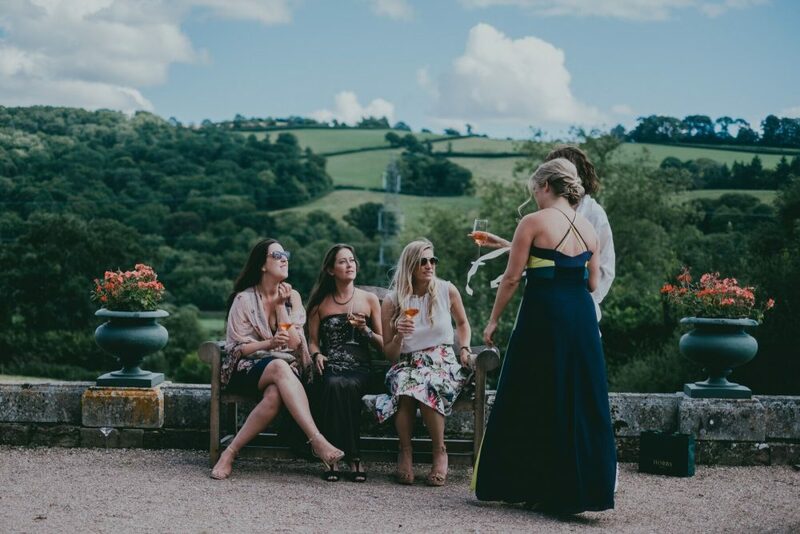 You’ll also be spoilt with endless views of the Devonshire countryside, what’s not to love?! 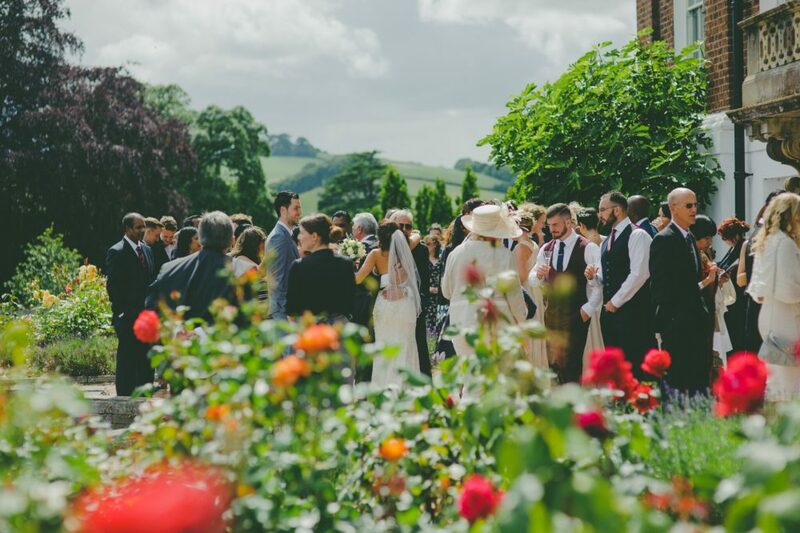 Don’t forget to visit our Recommended Suppliers to find the right fit for your day. 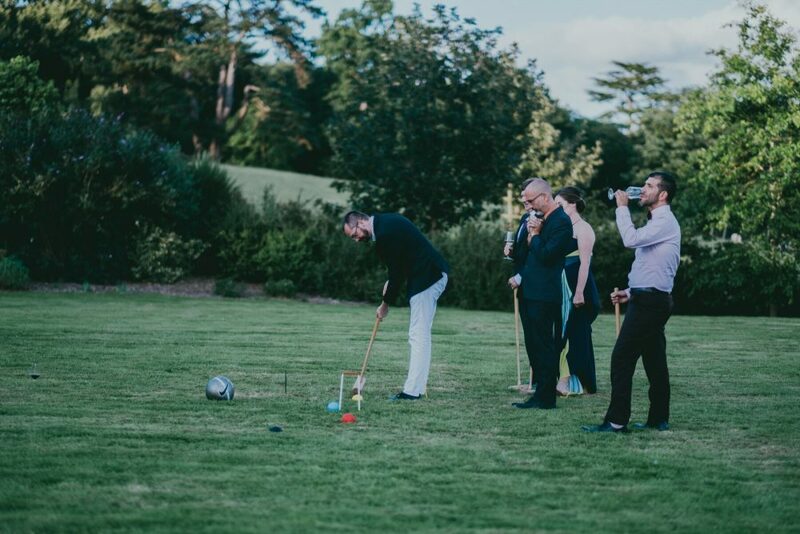 The lawn space at Pynes House offers plenty of space for your guests to enjoy an array of garden games, including croquet. A treat for guests of all ages, this is a wonderful ice-breaker and will really help to get the party started. 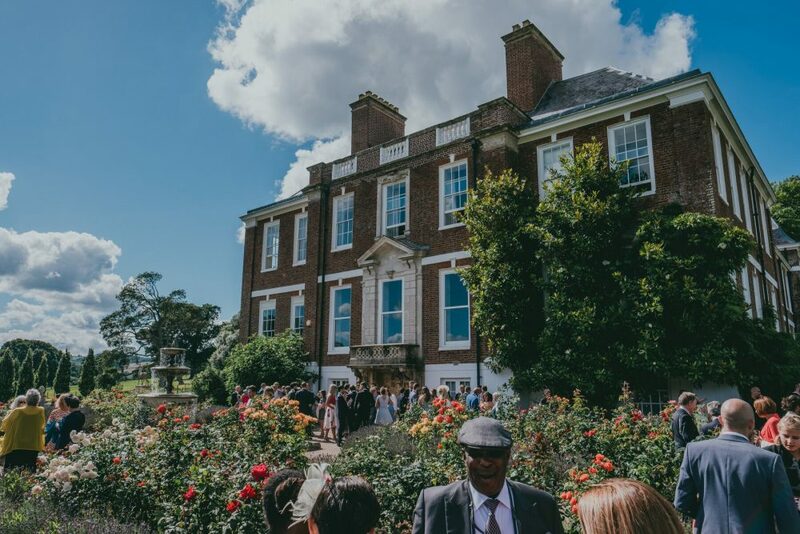 After the ceremony has taken place inside, lots of couples choose to move outside and spend their reception in the marquee. 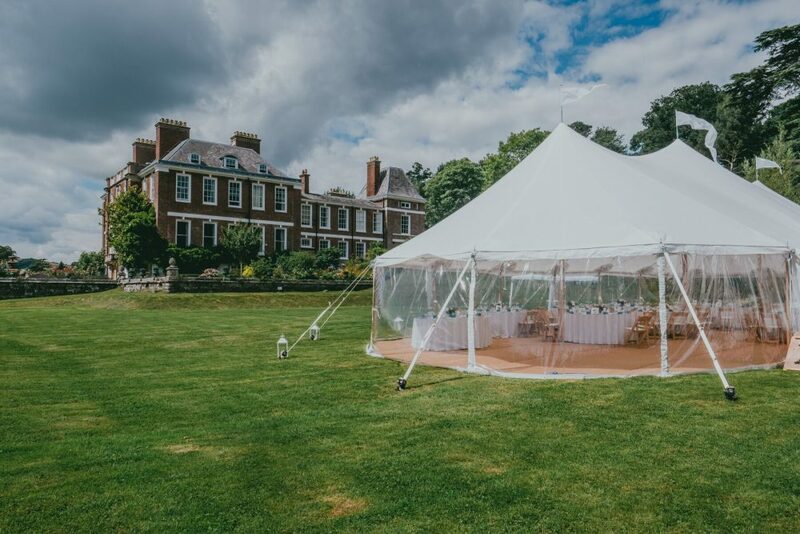 A beautiful option for the warmer months, you and your guests can take the time to wander around the glorious grounds and soak up the scenery. 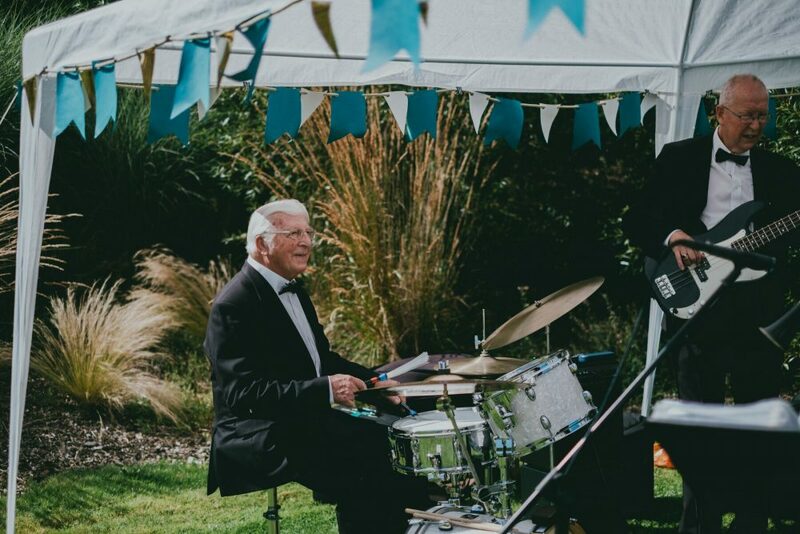 Enjoy a live band in the delightful gardens at Pynes House while celebrating your love story with your guests. 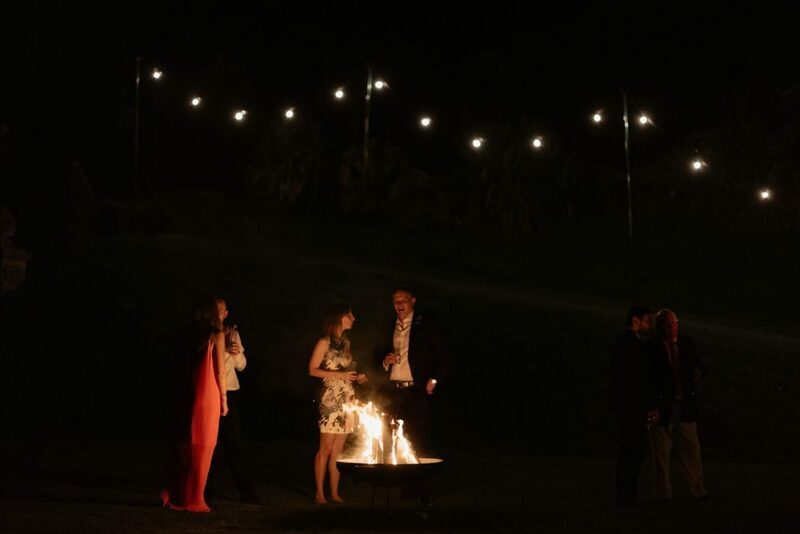 Many couples choose to make the most of the outdoor space at Pynes House by having a fire pit, where guests can toast marshmallows and enjoy the crackling fire as the evening draws in. 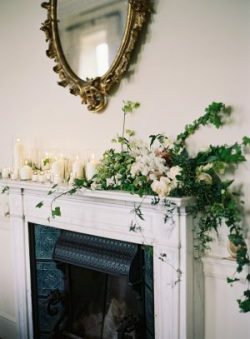 There is also lots of beautiful space inside, including the Morning Room where older guests may want to take five minutes out of the party to relax on the sumptuous sofas while enjoying the cosy fireplace. 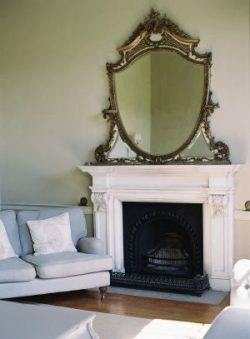 Why not display your cake or wedding dessert table in the Drawing Room or the niche in the Reception Hall? You will really be able to capture the moment where you cut the first slice together! A photo-booth is a fabulous and fun way to keep your guests entertained during your wedding reception. 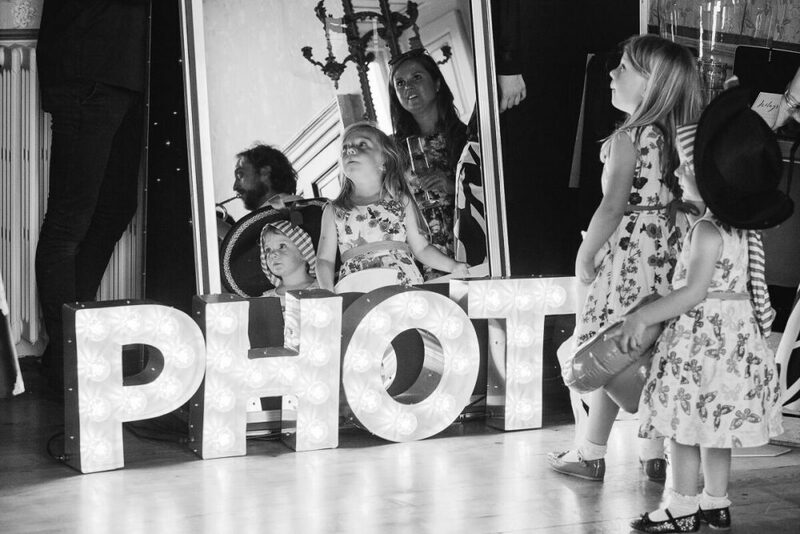 We have lots of space to set up a photo-booth and can provide you with any recommendations you need. Elegant and spacious, The Ballroom has been designed to provide the perfect space for your first dance as newlyweds. 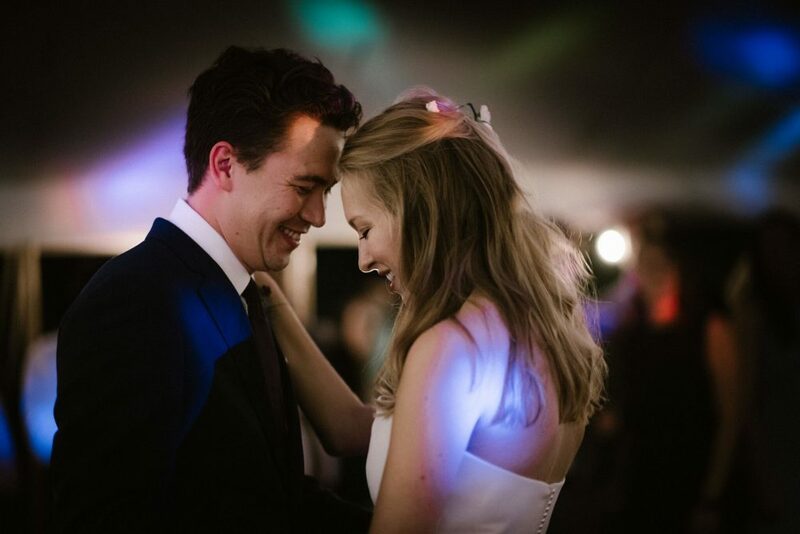 Whether you choose to have a band or DJ, you and your guests won’t be able to resist taking to the dance floor! 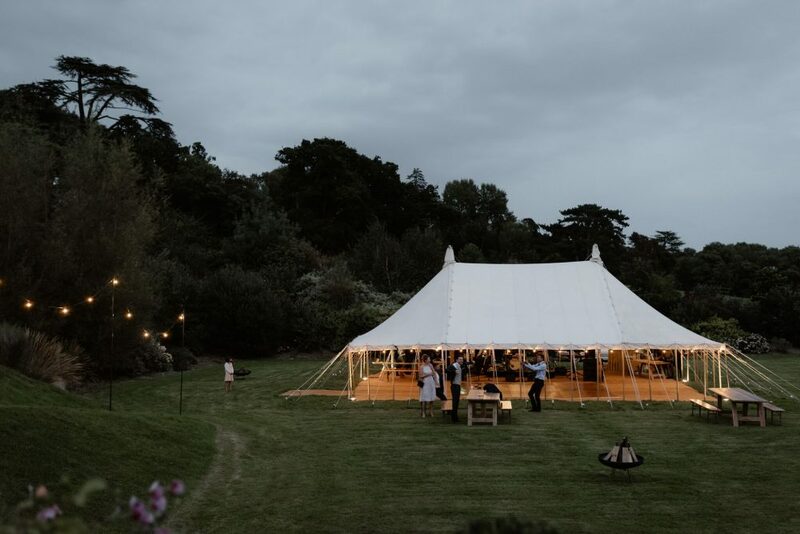 Alternatively, you can spend the night dancing under the stars with a stylish marquee. What could be more magical than dancing with the rolling hills, picturesque countryside and twinkling stars as the backdrop? 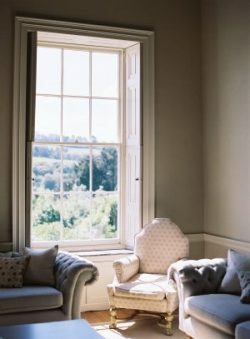 Don’t forget to read the full series over on the Pynes House Blog. 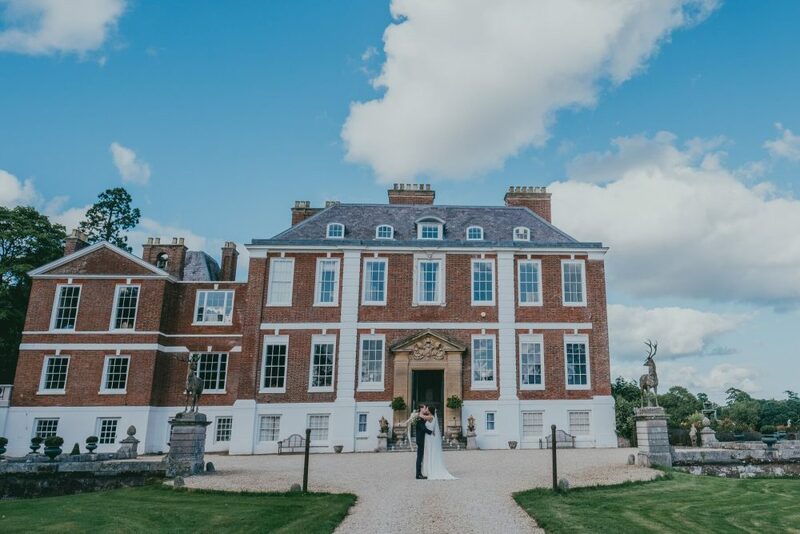 If you’d like to find out how we can be a part of your wedding day, get in touch with team. We’d absolutely love to hear from you!